How hard can scrambled eggs be? Crack some eggs in a mixing bowl and whisk together right? Have you added water, milk, both or neither? Do you add salt and pepper? What kind of pan do you use and where does butter fit into all this? I must say, in the past I have been very sloppy with my scrambled eggs and have just thrown eggs and whatever ingredients I had on hand into the mixture. Here’s a bold statement: There’s no wrong way of making scrambled eggs. But there is a perfect recipe out there that yields just right scrambled eggs every time. And I’m going to teach it to you :0) There are some tricks involved, so read on! Next, we’ll match the cooking surface with the proper utensil. You’ll need a heat proof spatula which can be found just about anywhere, from your local supermarket to Wal-Mart. So I mentioned tricks. 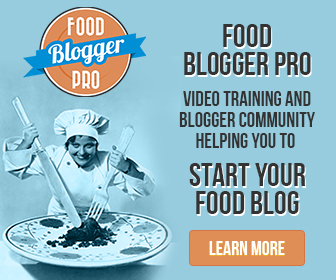 Yes, trade secrets given away for free here :0) I love to share (obviously, hence the blog) in the hopes that others can eat better food! 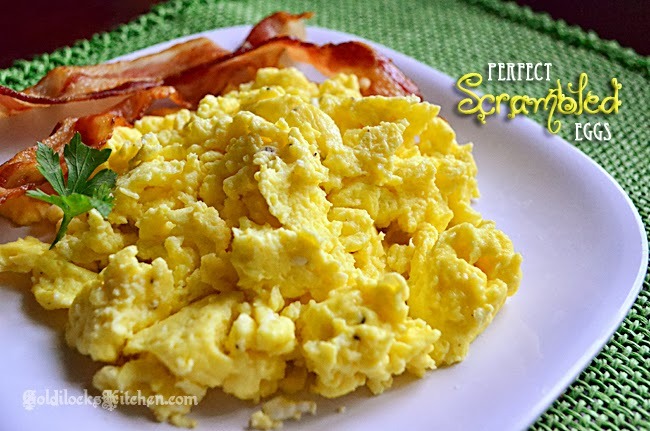 The first secret to perfect scrambled eggs is to add a couple of extra yolks to your mixture. This really helps the eggs to become creamy. And the thinning agent to add~ not water or milk, but half and half. This also helps add a fantastic creaminess and flavor to the eggs. And with just the right amount of salt and pepper you’re well on your way. Once you’ve sufficiently melted your butter in your pan, add the eggs and stir gently and constantly with your heat proof spatula. Don’t worry, it won’t take long for them to cook; you won’t be nursing a sore arm from stirring :0) And the last secret in this recipe; turn the heat to low just before your eggs reach desired doneness. The residual heat in the pan will continue to cook the eggs. This way they don’t get overcooked and dry or rubbery! How to make perfectly cooked scrambled eggs. Beat the eggs, yolks, half and half, 3/8 tsp salt and 1/4 tsp pepper in a medium mixing bowl just until color is pure yellow. You don't want to over beat them. Heat the butter in a nonstick skillet over medium high heat until the butter stops foaming. Don't let it brown. Swirl the pan to coat evenly with the melted butter and gently pour in the egg mixture. With your heat proof spatula, firmly scrape along the bottom and sides of the pan constantly until you see the eggs start to clump. Your spatula will start to leave a trail on the bottom of the pan. This will go quickly, 1 1/2 to 2 1/2 minutes. Reduce the heat to low and continue to stir eggs until clumped and slightly shiny or wet, 30 to 60 seconds. Immediately transfer the eggs to warmed plates. Serve and season with salt and pepper to your tasting.